Photos courtesy of Muse Machine Daelyn Eppers, Derek Alex, Anna Carlson of Xenia are all part of the cast of actors in Muse Machines’ production of Mamma Mia! Neve Barker and Adelina Geraghty of Bellbrook are also particiapting in Muse Machine. The show will be presented at the Victoria Jan. 10-13. 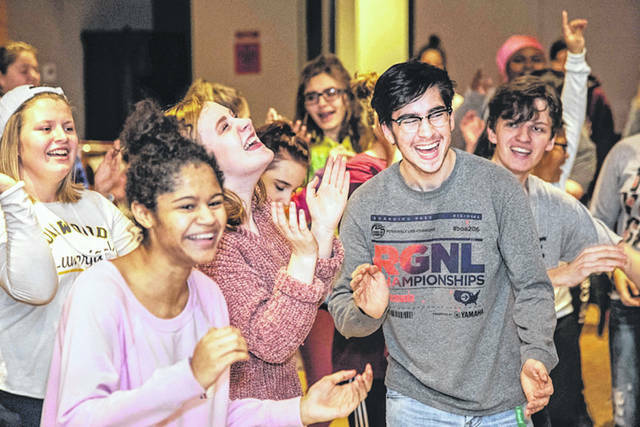 DAYTON — Students from 50 local schools have been rehearsing for Muse Machine’s Mamma Mia! since mid-October, along with countless parent and community volunteers. Amongst the rising young stars in the cast, crew and orchestra of Mamma Mia! are Derek Alex, Anna Carlson and Daelyn Eppers all of Xenia and Neve Barker and Adelina Geraghty of Bellbrook. The hit musical unfolds on a Greek island paradise. A mother and daughter’s world turns upside down on the eve of a wedding, in this tale of love, laughter and friendship woven around the story-telling magic of ABBA’s timeless songs. More than 60 million people around the globe have fallen in love with the characters, story and music that make Mamma Mia! the ultimate feel-good show! Highlights from the ABBA songbook include “Dancing Queen,” “Take A Chance On Me,” “SOS,” and many others. Building on the successes of more than three decades, the Muse musical provides an opportunity for students from rural, urban and suburban communities from across the Greater Miami Valley to work cooperatively. According to producer Douglas Merk, approximately 130 singers, dancers, musicians and crew members will comprise this production and receive pre-professional training from internationally-experienced artists, including director Rufus Bonds, Jr., choreographer Lula Elzy and music director Jeff Powell. The show will be presented Thursday, Jan. 10 through Sunday, Jan. 13. Tickets range from $15 to $65 and are on sale exclusively through Ticket Center Stage: 937-228-3630 or www.ticketcenterstage.com. Seats for the Muse musicals often sell out – purchase early to guarantee your seats. Muse Machine is a nationally recognized arts education organization, providing creative experiences and resources for young people of the Miami Valley for the past 36 years. https://www.xeniagazette.com/wp-content/uploads/sites/32/2018/12/web1_MuseXenia.jpgPhotos courtesy of Muse Machine Daelyn Eppers, Derek Alex, Anna Carlson of Xenia are all part of the cast of actors in Muse Machines’ production of Mamma Mia! 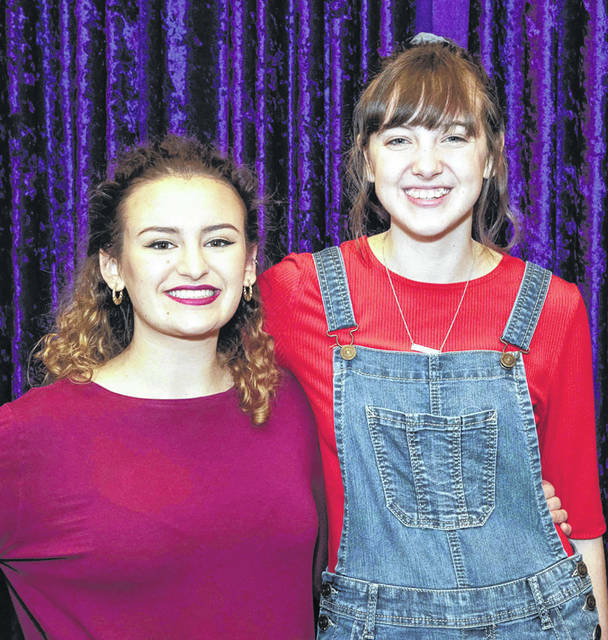 https://www.xeniagazette.com/wp-content/uploads/sites/32/2018/12/web1_MuseBellbrook.jpgNeve Barker and Adelina Geraghty of Bellbrook are also particiapting in Muse Machine. 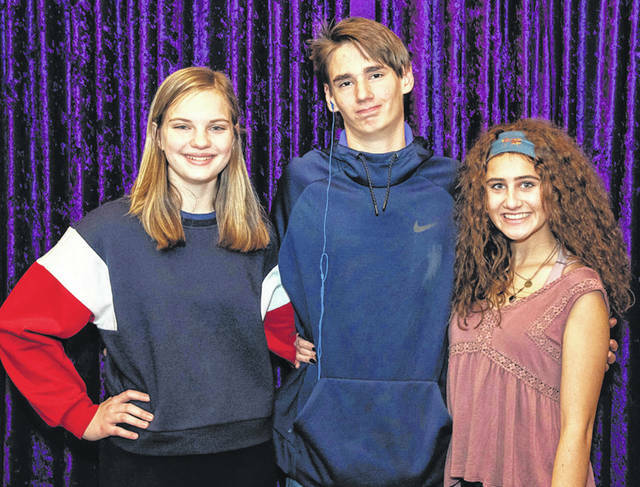 https://www.xeniagazette.com/wp-content/uploads/sites/32/2018/12/web1_Rehearsal.jpgThe show will be presented at the Victoria Jan. 10-13.